Welcome, business owners. The owners (and loyal employees) of hotels, restaurants, bars, attractions, and other businesses catering to travellers can share information that helps others in their travels. Everyone is invited to participate in this guide's development and decision-making as long as his contributions are constructive and benefit the traveller. Everyone is also invited to share the information in Wikitravel with whomever they want. First and foremost, we all should keep in mind that Wikitravel was created as a guide written by travellers for travellers where individuals can freely share their knowledge and travel experience with other users in the community. That has always been the spirit of this guide and we want to keep it that way. Therefore, Wikitravel is not a place where business owners can promote their businesses and add listings that don't constitute real value for the traveller. In order to help business owners navigate Wikitravel we've created comprehensive guidelines and policies that explain how to contribute to Wikitravel. Hello! [[Wikitravel:Welcome, newcomers|Welcome]] to [[Wikitravel:About|Wikitravel]]. To help you start contributing, we've created a [[Wikitravel:Quick contribution guide| quick contribution guide]] and a [[Wikitravel:Tips for new contributors|tips for new contributors]] page, full of helpful links about [[Wikitravel:policies and guidelines|policies and guidelines]] and [[Wikitravel:Manual of style|style]] as well as some important information on [[Wikitravel:copyleft|copyleft]] and basic stuff like [[Wikitravel:How to edit a page|how to edit a page]]. The owners of hotels, restaurants, bars, attractions, and other businesses useful to travellers can [[Wikitravel: Welcome, business owners| share]] information that helps others in their travels. However, they should adhere strictly to our [[Wikitravel:Don't tout| policies]] and [[Wikitravel: External links| guidance]]. 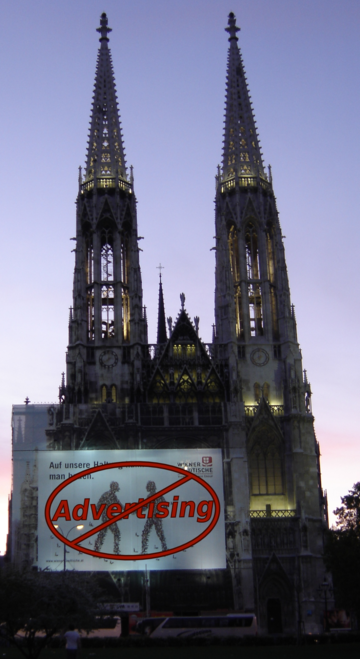 Wikitravel, not unlike cathedrals, is not for advertising! Don't tout. Wikitravel is a site for travellers, not for marketing, and overly promotional and unfair listings will be removed. This guideline identifies ways for businesses to contribute constructively. In particular, please do not ever add more than one listing for a business - for example, if a hotel has a restaurant and bar, list the hotel under "Sleep" and mention that there is a restaurant and bar. Also, don't add the same generic listings to multiple pages on Wikitravel. External links. Wikitravel has strict policies on including external links in articles, as identified in this guideline. In particular, listing third-party booking services and placing links to other travel guides is not allowed. Tour listings. Many tour listings and most travel agency listings are not appropriate for inclusion on Wikitravel, as described in this guideline. Also, the policy disallows listings for most audio tours, walking tours, and guided tours since the substance of such tours can generally be fulfilled by an independent traveler. Rental listings. Rental listings are only appropriate for inclusion on Wikitravel in very specific instances as outlined by this guideline. Image policy. In general, photos of businesses should not be included in articles. When adding information about a business on Wikitravel please use the appropriate listing tag and make your descriptions as straightforward as possible. The key guideline is: "Don't tout." Save the sales pitch and just tell it like it is. You don't have to stick to a dry recitation of facts, but keep in mind that Wikitravellers aren't fools. They'll see through flowery descriptions and effusive praise, and they won't trust it. Any of it. They'll distrust your information, and they'll also start to distrust Wikitravel in general, which isn't good for you or for the rest of us. Using advertisements you have placed elsewhere, or using the word our, or using any of the words to avoid are indicators that you are heading the wrong way. If you add a link to your business name it should also be mentioned in the text, and the travellers should get what they are expecting if they click through any link you add. Please try to use a Wikitravel standard listing format. Look around to see how other good listings are done, and copy their example. You are welcome to mention your business name on your user page, but we don't allow user pages to be used for advertising and you should certainly not add external links to any commercial venture or to other travel guides there - that will immediately mark you out as a tout and may earn you a quick ban. Other wikitravellers are also working on the article trying to make the best travel guide possible. At Wikitravel, the traveller comes first and this may mean that your entry may be changed, moved, updated, or entirely removed, all in the interest of giving the traveller the best and most relevant information. If you think any changes are unfair, please discuss them on the discussion page of the article and try to reach consensus. Contributing quality and useful travel information and working cooperatively will hopefully reflect positively on your business, although there is never a guarantee of a listing or positive review. On the other hand touting, engaging in edit wars, or changing competitor information will reflect negatively on your business. The community has decided that we are looking for good businesses to appear in our guides, and may decide that your business is not appropriate to list. One thing we ask you never to do is to remove information about your competitors. Even if they break every rule in the book, don't remove it or edit it yourself. Instead point it out at the discussion page of the Wikitravel article providing a reason for deletion, and only after reaching a consensus there that it can be done fairly, can it be removed from the article. If your edits are reverted, please feel free to discuss the reasons on the article's discussion page. This is a better place to discuss than directly with the user who did the reversion, because all Wikitravellers interested in the topic can take part in the discussion. The text may have been copied from another web page. Rewrite it in your own words. The tone may sound more like an advertising brochure than a travel guide. Don't tout. The entry may have been added to multiple articles or multiple sections. Just add it once to the most appropriate article and section. The entry may have had erratic formatting, including excessive use of UPPERCASE. Carefully review syntax in Wikitravel:Listings. The entry may be of little relevance to the traveller. Rewrite to make it as helpful for traveller as possible. There may just be too many entries of a particular type, and Wikitravel is a guide, not a exhaustive directory. Entries that comply with our manual of style, that don't tout and that have verifiable contact information, are preferred when the list grows too long. If you are adding a tour agency, it may violate our policy on tours. If you are adding an apartment rental agency, it may violate our policy on apartment rental agencies. Check the message text that was left with the reversion edit, it may explain why the edit was reverted. If you have created an account some wikitravellers may give some reasoning on your talk page also. You could just add a listing for your business and leave it at that. But we'd love to see you sign up and stick around. But don't do it just for us. If you own a travel-related business, you probably want to see local tourism and other travel to your area thrive, and helping to make the Wikitravel guide to your destination better is one way to promote that. We've found that the better an article is, the more traffic it gets. Twice a month we feature another well-developed article on the Main Page as either "Destination of the Month" or "Off the Beaten Path". And for the crème-de-la-crème pages, we flag them and feature them as "Star" articles. So make sure all the key attractions and activities in your locale are listed... as well as your business. No one's asking you to add listings for your competitors (though to be honest, we'd love it if you did). But if you own a nightclub, surely you must know some good restaurants in the area. If you own a hotel, you probably know something about what your guests see and do while they're in town. We'd love it if you uploaded images of attractions in your city, just be sure you understand they'll be published under the free content license that we use. You may even consider becoming a docent for your city, someone who offers to answer questions that travellers might have about things that aren't covered in the article. If a traveller sees that you're genuinely interested in helping, that certainly can't hurt the chances that they'll patronize your business when they get to town. And it's quite alright to put information about yourself and your business on your User page (if you don't turn it into a marketing brochure). And on the off chance that once in a while you manage to get away from the job and get out of town, please contribute the information you learn as a traveller yourself, to other guide pages. You can share Wikitravel information with others. You can print copies of Wikitravel articles and provide them as city guides to your guests. The only restrictions on you are the same ones that apply to Wikitravel itself: you have to give credit to the contributors, and anyone you give this information to has the same right to redistribute it. See Wikitravel:How to re-use Wikitravel guides for more details. This guide is published under a "copyleft" license that allows its content to be used by anyone, free of charge. It's called the "Creative Commons Attribution-ShareAlike" license. The "Attribution" part says we have to give credit to the people who contributed the information. The "ShareAlike" part says that everything contributed to Wikitravel has to be made available to anyone else on the same terms. We specifically didn't include the "NonCommercial" limitation in Wikitravel's licence, so that business owners like you can use the travel guides. This page was last edited on 3 January 2018, at 23:20.